1.) 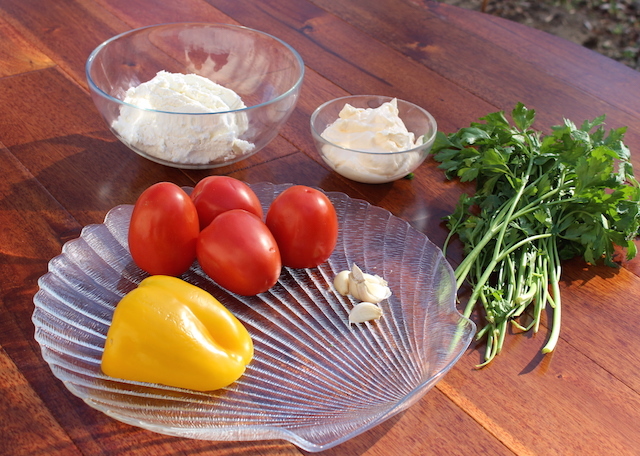 We start with our ingredients: 4 tomatoes , 1/2 of a big sweet yellow pepper, about 8 green parsley herbs, 8 oz of farm cheese, 6 oz of mayo, 5 pieces of garlic and that’s about it. 2.) Place 4 tomatoes that have been washed and cut in half. Clean out the pulp from the inside. Add crushed garlic into the mayo and cheese. 3.) 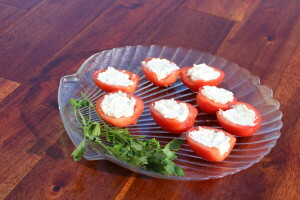 Fill the tomatoes with the cheese that we mixed in the last step, to do this just use a spoon and make sure its equal to the top. 4.) 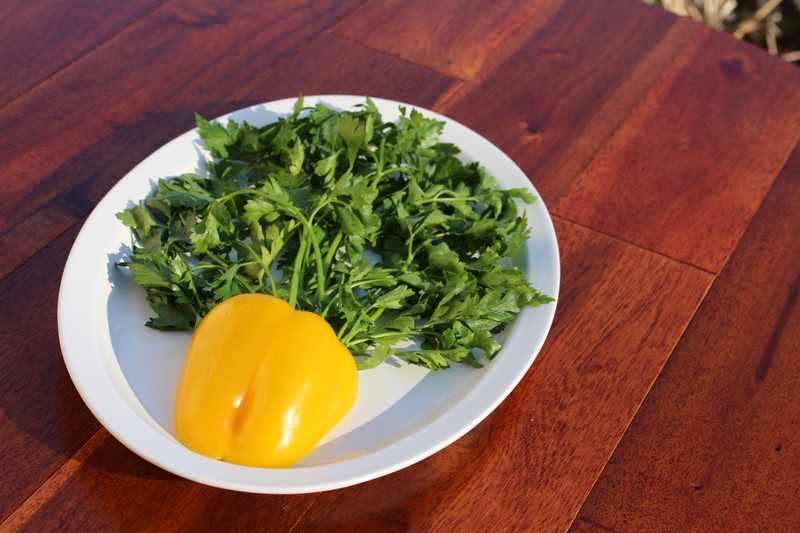 Then place the parsley neatly on a serving plate. 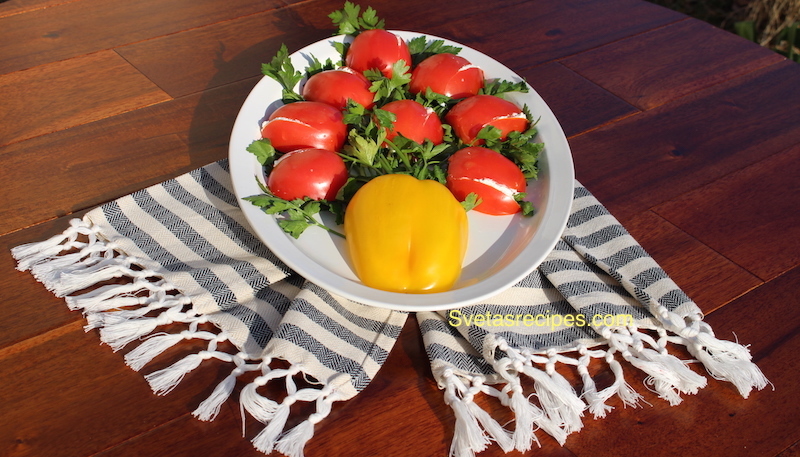 Take 1/2 of a yellow pepper and place it at the bottom so it looks like a vase. 5.) 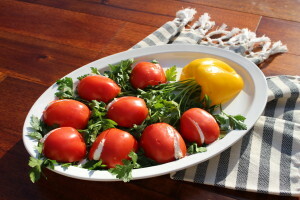 Now place the tomatoes onto the parsley try to even them out equally. Now with a knife cut a small slice as pictured above. (every tomato.) Once you’re done, add the cheese that we made earlier into the tomato where we cut it to make it look better. Very Beautiful Yummy And tasty Also Very Easy To Make! 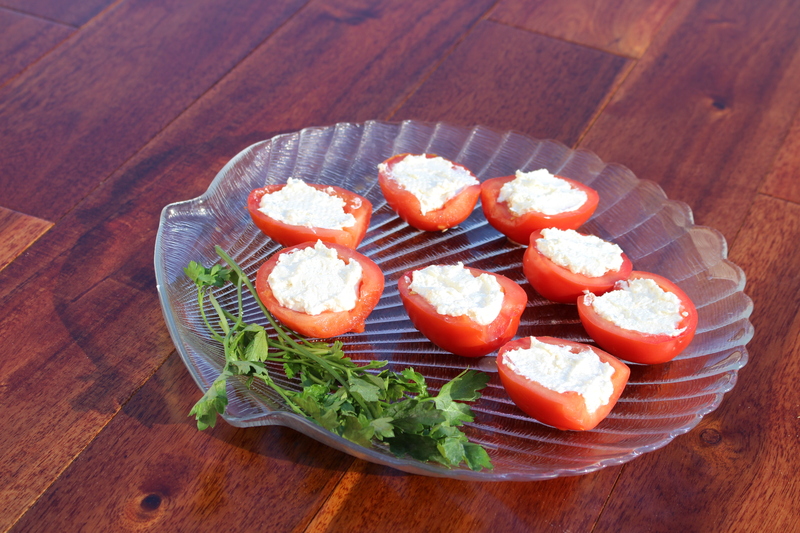 We start with our ingredients: 4 tomatoes , ½ of a big sweet yellow pepper, about 8 green parsley herbs, 8 oz of farm cheese, 6oz of mayo, 5 pieces of garlic and thats about it.